BRISA® Gel Kits are value-priced packs that contain all the essentials needed to create beautiful gel enhancements. Creates up to 40 sets of natural looking BRISA® Gel enhancements. Become acquainted with BRISA® Gel when you purchase the BRISA® Gel System Kit. 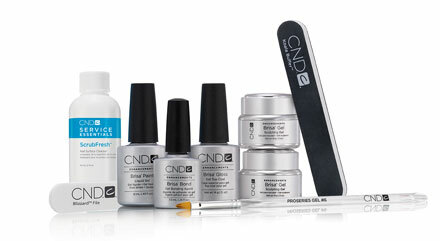 This comprehensive gel nail kit has everything you need to add BRISA® services to your salon service menu. Introduce BRISA® Gel enhancements to your clients with this exciting kit. Inside you will find BRISA® Sculpting Gel Clear, BRISA® Sculpting gel Pure Pink – Sheer, BRISA® Paint Pure White – Opaque, BRISA® Gloss, BRISA® Bond, Gel Oval Brush #6 and SCRUBFRESH®. Create up to 40 full sets of gorgeous BRISA® Gel enhancements with this kit.